If reading more books is on your list of New Year’s resolutions, then I have just the list for you. I was flattered when a friend of mine asked me for my top 2015 favorite reads. I thought, why not spread the love? The only thing I love more than reading books is talking about reading books. So here’s a quick rundown of my personal favorites for the year, as well as a few I’m dying to read in 2016. I was so pleased that my final read of the year was something utterly fantastic (I hate finishing the year with some flop). Station Eleven is quite simply a marvelous book– a hugely creative and mind-bending journey through the last days of civilization. I’m not sure how to fully describe it without giving too much away, but the story centers around Kirsten, a badass former child actor who is trying to make her way in a post-apocalyptic reality. As Kirsten travels through the back woods of Lake Michigan in search of the only family she knows—a motley band of artists known as The Traveling Symphony- we get glimpses of her former life as well as the characters who’ve indelibly shaped the person she’s now become. 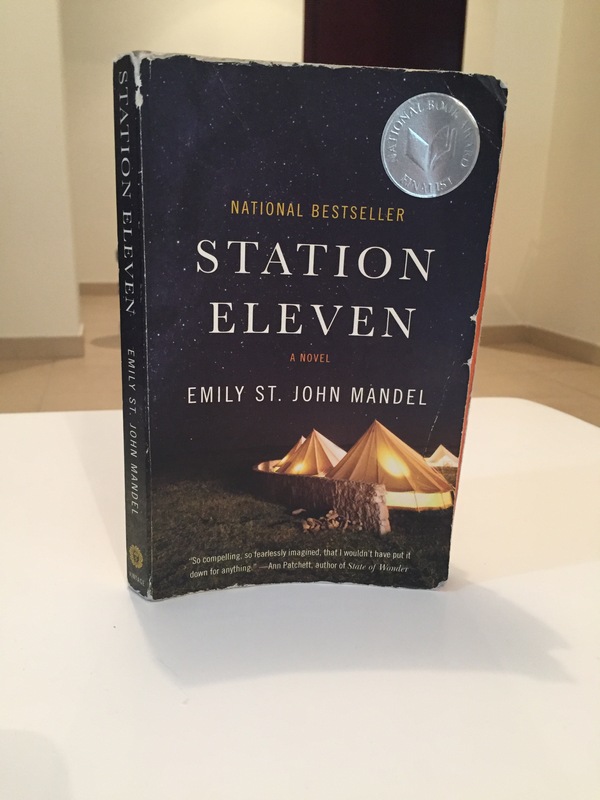 Part sci-fi thriller, part noir fiction Station Eleven is deeply provocative and will leave you appreciating the minutia of life in the most unexpected way. A really superb read. A stunning novel about the life of a young woman during WWI England. We follow Ursula as she darts between the possibilities of fate, her life propelled only by a series of choices and events that feel more happenstance than deliberate. The story is hugely creative, gorgeously written and is a parable for the inexplicable and sometimes cruel destiny that is life. I’ve never felt such immense gratitude for my own life’s nuances and fragility—this book will do that. It’s a doorstop but worth all 400+ pages—simply uh-mazing. A rollicking look back at San Francisco in the 1950s and 60s and some of the famous people and events that have helped shape this remarkable city. It’s nonfiction (not my usual jam) but the stories and people jump off the page. I found it fascinating— a fun and nostalgic tribute to my hometown by the Bay. Reading this now and love it, but for different reasons. It’s not a novel but a self-help guide of sorts about unlocking your creative potential. If you are in need of a little motivation in the creative department (such as I am) then this book does the trick. But even if you aren’t pursuing something ‘creative’ per se, it’s a great reminder about how we’re all innately creative as human beings, and that we should feel inspired rather than afraid to act on our creative instincts. Very kumbaya, but let’s face it, who couldn’t use a drum full of that right now? A fun, tidy little book about two couples that agree to meet for dinner only to learn they must confront their dark and troubled past. It’s a ride through modern day Amsterdam that keeps you hooked with a compelling enough plot and several unexpected twists. It won’t necessarily make you smarter but a fun read nonetheless. I owe my blog to this book. I started reading it shortly after I arrived in Dubai and couldn’t believe how much a book could just absorb me so completely and so willingly. This book confronts all of the existential questions about living and wanderlust, and how we as humans can make new discoveries about ourselves and the world around us. She essentially argues that discovery, and therefore transformation, can only truly happen when we put ourselves in situations of discomfort (or in my case full on shock) and only then can we open our eyes to new experiences. A beautiful and thoughtful tome that had me devouring every kernel of wisdom that Solnit offers.